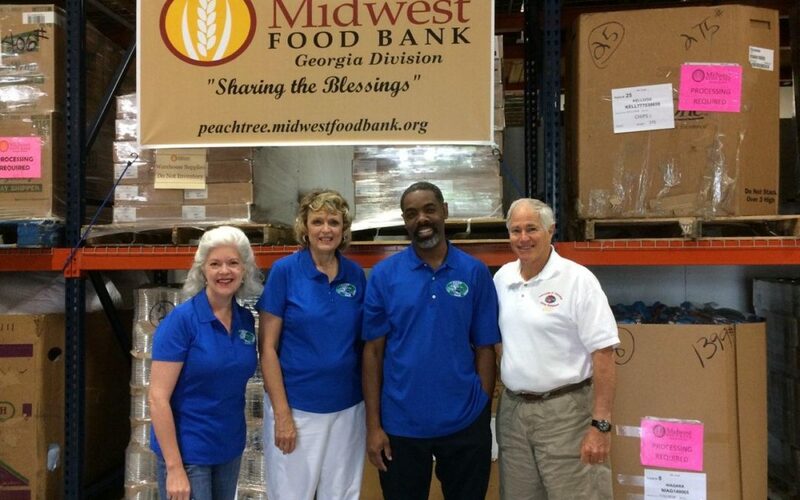 On August 29, the FCAP Staff spent a brief time away from our normal routine volunteering at the Midwest Food Bank located in Peachtree City, GA . We did this in response to ideas presented in conversations with local airline people as well as leaders at our FCAP Leaders Conference in May. 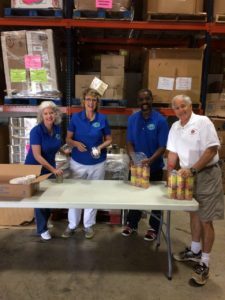 There are a number of non-profit ministries located throughout the U.S. and abroad who rely on volunteers to help make food, clothing, and basic needs available to those in need within their communities, and there could well be some airline-related families benefiting from such outreach. It is a wonderful project where FCAPers in local areas can have fellowship with one another while serving others. Perhaps it could be a group that meets together regularly in their workplace; they may even invite others in their respective work areas to join them, introducing them to FCAP at the same time. 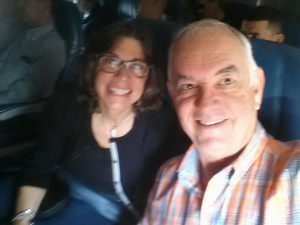 It may be a group of airline retirees who have a heart for such outreach and for spending time together. It could be that several airline-related families could do this together, children included. Or maybe airline people in the ATL area would like to come join the FCAP Office Staff in serving on a periodic basis. We do want to make a difference through the FCAP ministry, both spiritually and in helping to meet the physical needs of others. The bonus is that we are blessed and encouraged by fellowship together as we do so.